When Rose awakens, she finds herself in an old castle lost in time and without color. She’s not alone though, Rose soon finds a faceless giant that accompanies her as they attempt to find a way out of the castle. Problem is, Rose carries with her a curse, one that explains the presence of thorns and a single rose growing around her body. As they search for an exit, Rose and the giant will uncover hints about their past, cooperate to solve puzzles, and work through some really interesting boss encounters. 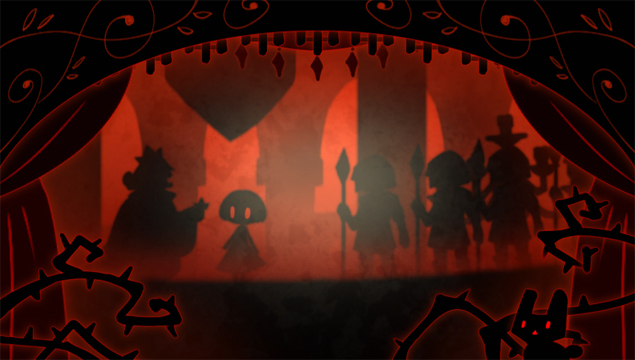 A Rose in the Twilight’s narrative is mostly presented through small theatrical vignettes that can be found just off the main path in many of the game’s stages. These Blood Memories are short sequences that convey pieces of backstory using only visuals. Most cover Rose’s own backstory, which can at times be rather playful and endearing, while in other cases, these short sequences can be kind of tragic. Each Blood Memory helps to paint a picture of the overall narrative and is then supplemented by various notes, letters, and books that serve as extra connective tissue. These notes, which can also be found throughout the game, help expand parts of the narrative and provide context for things that may not be entirely clear from the Blood Memories alone. All of this is handled pretty well, the story is interesting and keeps a pretty good pace through fake-out endings and plot twists as it builds towards the finale. It’s easy to grow attached to Rose and the Giant, so, all of the information revealed about their past and where the story ultimately leads feels meaningful. Within the castle itself, it seems to be implied that the flow of time has stopped, or that only specific things still feel its impact. 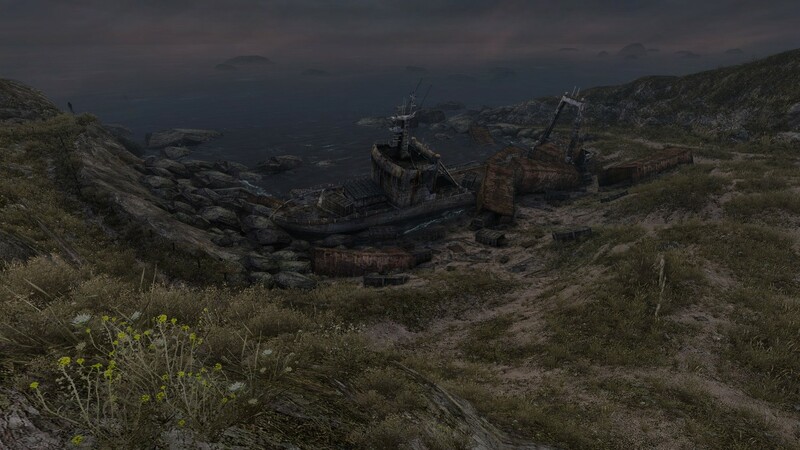 This is reflected in the game’s visuals as the colors are muted and the environments appear mostly devoid of life. The exception is the accentuation of both red and white which are pivotal in regards to the actual gameplay. Rose’s curse gives her a unique gift, she can drain the red from objects, storing it in the rose on her back, and fill other objects with the red that she currently holds. This is important, as objects filled in with red gain physics and suddenly behave as if affected by time and gravity. Control can also be switched to the giant which has super strength and can walk through thorn-covered areas completely unharmed. 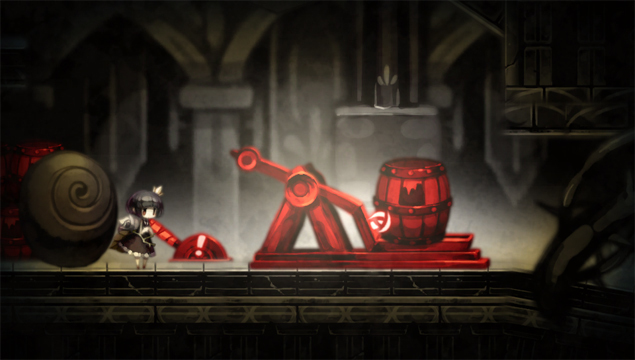 The giant can pick up red objects or Rose, and throw them to out of reach areas or across large gaps. Working together they’ll both solve puzzles and escape from a number of dangerous situations. Progression through the game involves the companions venturing towards different areas of the castle from one branching point, a sort of main hall/throne room area. Each part of the castle introduces new ways to solve puzzles that helps to keep things interesting. A simple puzzle might involve Rose pouring red into a table that the giant then uses to pick up and place as a bridge in order to cross a gap. In the next area Rose might need to use a catapult to launch the giant towards a previously unreachable platform and in the area after that, Rose attains a watering can that completely changes how she distributes the red she has stored. A Rose in the Twilight is always presenting new ways to use both Rose and the giant’s abilities and that ultimately makes for a really enjoyable puzzle game from start to finish. It’s not without issue, Rose is a very vulnerable little girl and death will find her numerous times throughout a single playthrough. For the vast majority of the game dying isn’t a huge issue, the checkpoints are quite forgiving and frequent, and most deaths in general just come down to user error. It’s towards the end of the game, where there’s quite a bit of timing and precision involved, where A Rose in the Twilight can become a tad bit frustrating. The boss fights are also quite hard and require a good deal of pattern recognition to beat. The trial-and-error involved in beating each boss can also be a bit much, but fortunately both bosses are really interesting encounters that fully utilize both character’s abilities in interesting ways, something that certainly alleviates some frustration that might be felt. On that note, there’s also the issue of the final Blood Memory, that is found moments after the final boss is defeated. It’s only available for a few short moments and requires beating the boss all over again if it’s not collected. A Rose in the Twilight is a really interesting puzzle game that properly utilizes each character’s specific abilities and uses its aesthetic to highlight key points of interest while setting a specific mood. The way everything ties back into the narrative that the game is trying to tell is done really well and makes for a really enjoyable journey, through both the good and bad times that both Rose and giant share. Great visuals that blend together with gameplay mechanics really well. Some rare moments of frustration later in the game. Final blood memory can easily be missed and requires beating the final boss again if that happens.